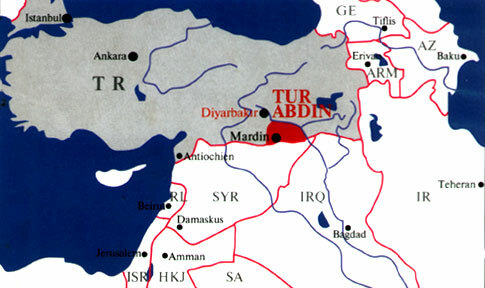 Mor Philexinos Yuhanon Dolabani, the Syrian Orthodox Metropolitan of Mardin and its Environs, Turkey, is one of the outstanding scholars that the Church has seen in the near past. He was born in the year 1885 and was ordained Metropolitan in 1947. It was in 1908 he became a monk in Deir ez Za’fran. He was a great scholar and poet and had written more than 70 books. He made a number of translations from Syriac to Arabic and Turkish. Bishop Dolabani was the first to translate the Syrian Orthodox liturgy into Turkish for the people who moved to Istanbul, because they no longer understood Syriac. His extensive writings in Syriac include histories of the Patriarchs, and of the monasteries of Deir ez Za’fran and Mor Gabriel. He printed the books and many others in the monastery, as well as periodical called 'al-Hikmat' (Sophia). His editions cover many more important texts, several of which are of hitherto unpublished authors. Of his translations into Syriac, those of Patriarch Aphrem Barsaum’s History of Syriac Literature, and of the play ‘Theodora’ (by Paulose Behanam, 1916-1969), deserve particular mention. A many number of his writings remains unpublished. His scholarly work was recognized and respected by all, as well as his good deeds. He used to ask the people: “What good things have you done? Don’t tell lies, try to say only good things, think of God”. He loved and helped poor people. He is buried in Deirul' Zafran Monastery. The week before he died, when he saw his last article in the Patriarchal Magazine, he said: “I don’t like death to break my pen, because the Church and our youth still needs my pen, but may God’s will be done”. 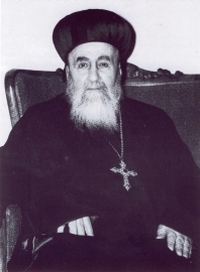 Metropolitan Mor Julius Cic’ek lived with him for three years in Mardin and he remembers: “He was such a spiritual loving man, always praying. It was enough to see him, to be with him, to live with him. We were living and praying together. He was a man of God, a living example, which is better than words and long talks. I tell people about his life and influence. 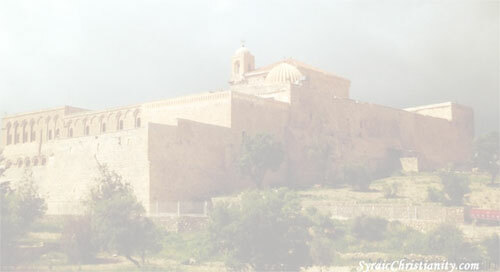 Metropolitan Mor Gregorios Yohanna of Aleppo is preparing a book entitle “Dolabani, the Ascetic of Mardin”. He remembers that bishop Dolabani used to sit every day with the visitors, explaining the Gospel, telling stories of the Church Fathers, singing Church songs, in order to avoid gossiping. Father Ibrahim of Zafaran monastery remembers that bishop Dolabani lived as a monk, with very little money. He loved the people and used to teach humility by his life. He did not care for food or clothes. When he was very sick at the time of his death, special food was cooked for him. He asked if the boys living in the monastery were eating the same food. At the negative answer, he ordered that his food should be taken to the boys and that the boys’ food should be brought to him. Malfono Isa Gulcan residing in the monastery of Mor Gabriel remembers what bishop Dolabani told him before going to the military service: “You should not forget to pray. God wants spiritual prayer from your heart. You can always pray in your heart. When you do or say anything good, that is prayer. Christ said to pray all the time. You cannot say prayers all the time, but you can pray all the time by doing good things in your shop, in your work, in your military service. Your life becomes prayer when you think, do and say good things”. Dolabani was a missionary-minded man. After the end of the persecution of the Armenian and Syrian Orthodox in early 20th century, he ordained many number of priests, monks and deacons, and send them to very remote areas as far as 'Bitlis and Van' where the faithful had lost their clergy and forgotten about Christianity. Dressed as lay people, they baptized so many Syrian Orthodox people and also Armenians who had no more clergy. 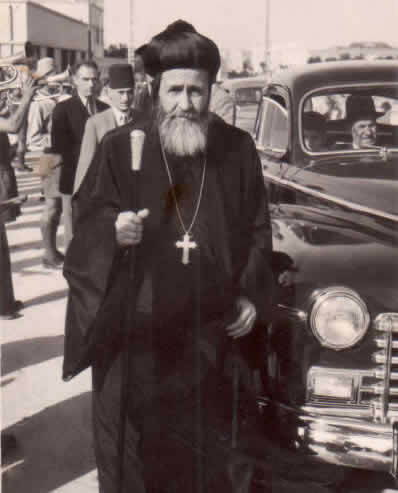 Sebastian P Brock recalls a meeting with the Metropolitan: “I met Bishop Philexinos Dolabani once, a few years before he died, and he has always greatly impressed me, both as a man of great holiness and as a tireless scholar in the service of the Syrian Orthodox Church”. with saffron dyed, have cradled patriarchs ! The nation's children love your shady walks. the healthiest Syrians eat your cereals ! I'd tear up all that try to choke your wheat. I'd plait a crown of flowers for your brow. Christine Chaillot, "The Syrian Orthodox Church of Antioch and All the East, A Brief Introduction to its Life and Spirituality", Geneva 1998.